Gabor Molnar got his Mechanical engineering diploma in Hungary, then we got his Mechanical Engineering Ph. D in the Technical University of Braunschweig in Germany. 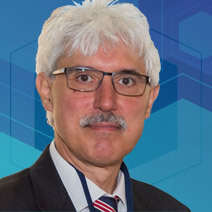 He has been a scientific researcher in the PATE Georgikon Keszthely in Hungary, also in the Institute for Application Techniques in Plant Protection in Germany and after enjoying 6 years at the Institute of Production Measurement Technology in Braunschweig, Germany, he is now one of the scientific researchers in the PTB.